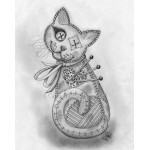 Voodoo Cat Doll - Prints - The drawing of my creepy cute patchwork Voodoo Cat Doll with three ..
Voodoo Cat Doll - Prints - A creepy cute patchwork Voodoo Cat Doll with three little pins stuc..
Voodoo Empress Fairy Cat Doll - Bookmark - A creepy cute patchwork Voodoo Empress Fairy Cat Doll wit..
Voodoo Empress Fairy Cat Doll - Prints - A creepy cute patchwork Voodoo Empress Fairy Cat Doll with a little pin stuck in her. 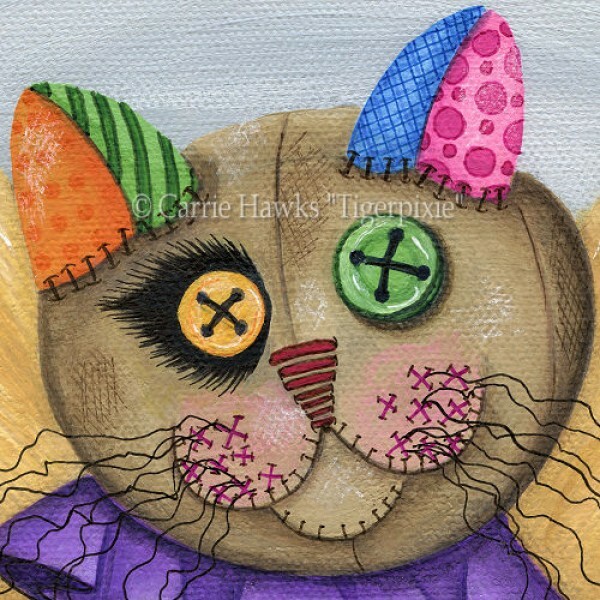 She's as happy as can be with her stitched kitty smile, corn husk fairy wings and mismatched button eyes. 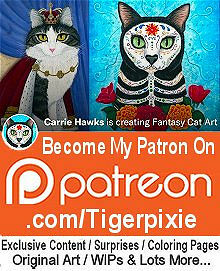 This drawing is based on the Tarot Card The Empress. 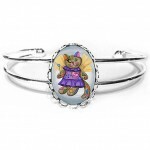 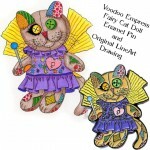 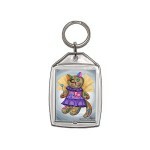 To represent the Empress card my Voodoo Fairy Cat Doll has her pin/scepter stuck in her right hand. 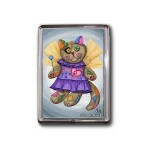 She has corn husk fairy wings for the field of corn in the foreground of the traditional card. 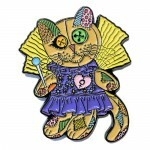 A heart shaped patch with the symbol of Venus for the Empress' shield, surrounded by the 12 stars from her crown on my kitty's dress. 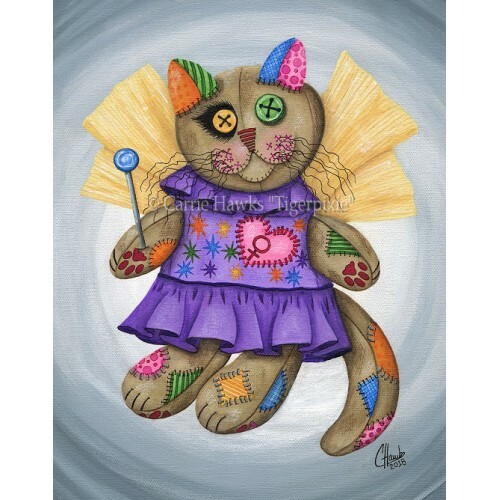 This is the second in my series of cat dolls I am painting. 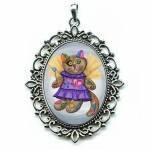 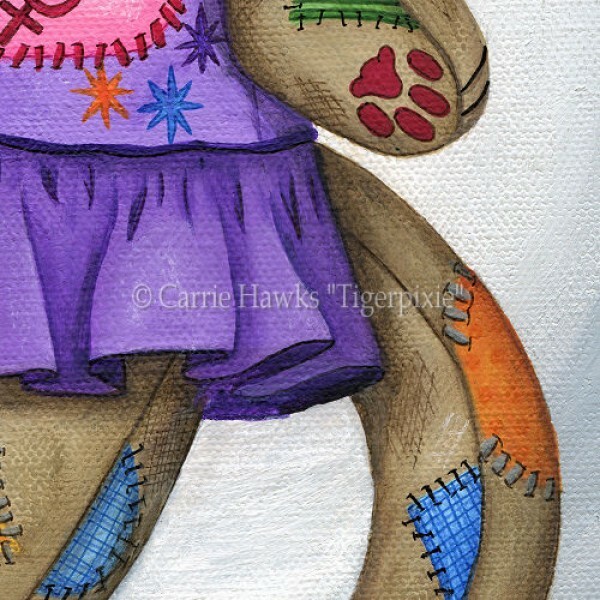 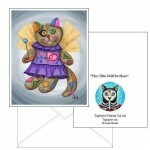 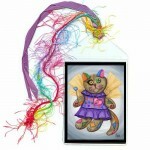 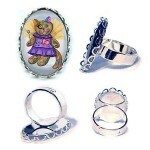 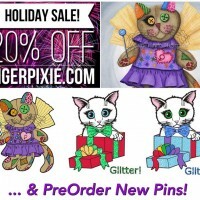 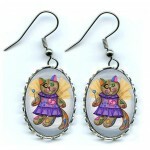 Voodoo Cat Doll - Prints - The drawing of my creepy cute patchwork Voodoo Cat Doll with three little pins stuck in her. She's still as happy as ..
Voodoo Cat Doll - Prints - A creepy cute patchwork Voodoo Cat Doll with three little pins stuck in her. 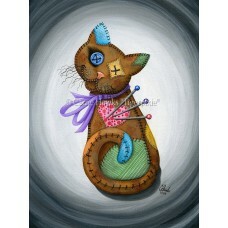 She's still as happy as can be with her ..